Before I had kids, I imagined having a rough and tough dirt loving little girl. Crazy enough I got her! I seem to have created the ideal daughter. When it comes to animals and bugs, Ava is fearless. She always consideres spiders and insects her friends. She even has one living in her room right now that she fed a freshly caught cricket. Ava specifically asked me not to clean her window sill because thats where her spider friend lives. Fine by me, I have only cleaned them once in the 6 years we have lived here. This dusty dirty sill makes the best kind of spider house. 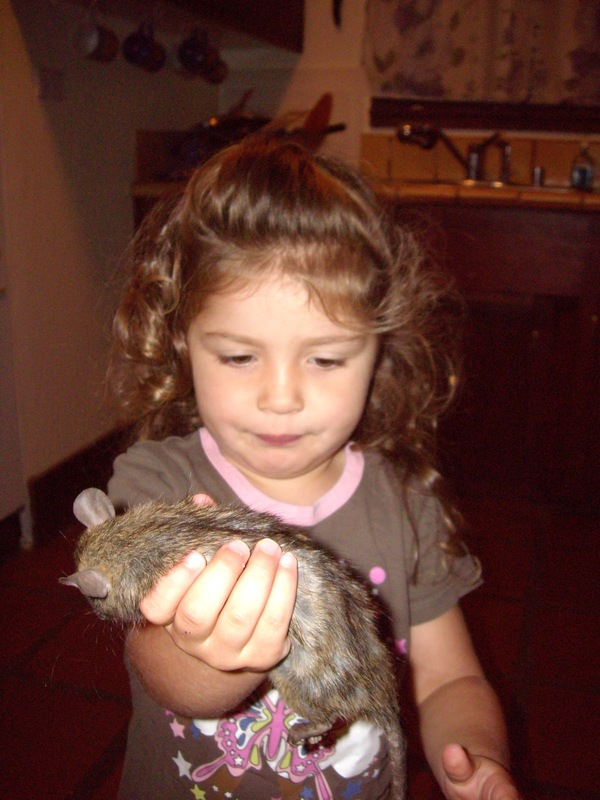 One day when Ava was 4 years old she found a large dead rat and brought it to me cradled in her hands like a precious treasure. 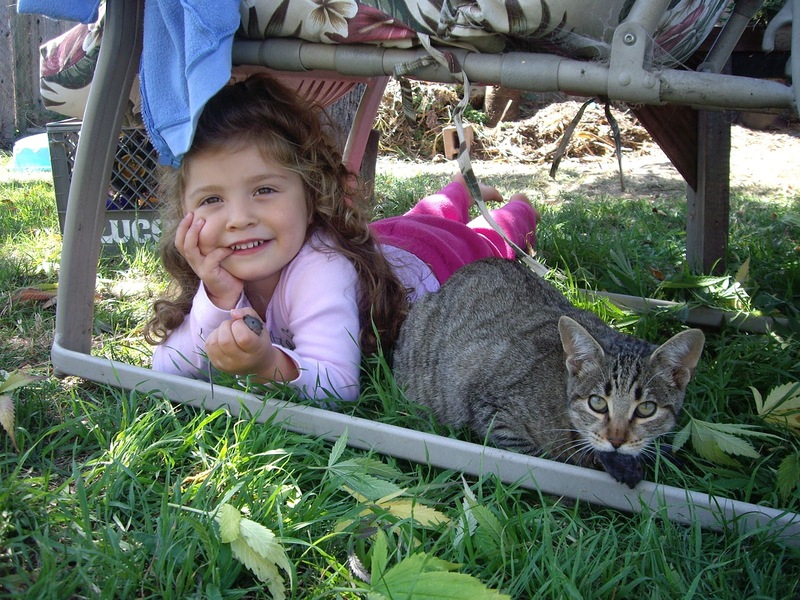 It was freshly killed and stinky, but she was the happiest kid around. Ava has been bitten by so many animals we now have a running tally. Her favorite thing to do is to catch wild creatures. 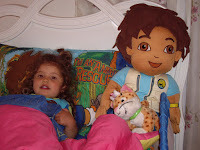 It seems the fear of getting bitten is overshadowed by her love for these critters. 4 - Our old pet mouse, after Scarlett squeezed it so hard and Ava rescued it. She was rewarded by a chomp on the finger. The other day we were at the beach with her grandparents and she was feeding the pigeons. I see her assume the stocking position where she gets extremely still. 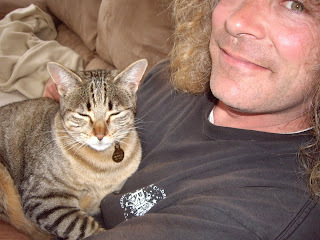 Next thing I know she snatches one into her arms and is beaming ear to ear. Thats my girl! This was one of her favorite moments and I am so proud of my fearless daughter. I had my 8 week ultrasound appointment this morning. I have done this 2 times before so I know the drill. Check in, pee in a cup, take clothes off from the waste down and recline on the table. The ultrasound technician pulls out her super long wandy thing which she lubes up and inserts into you know where. I see a black and white picture of my uterus on the tv screen mounted on the wall above me. I see a black oval shape which is the embryonic sac. I look for the kidney bean shape baby inside this sac and I see absolutely nothing. It is weird, there should be something there, but it is empty. The technician explains one reason why we cant see a baby is because my dates could be off. I know my dates are not off because Kevin and I were trying super duper hard to conceive. I have each day we did the dead clearly marked on my calender. She left the room and I started to feel pretty darn sad and confused, where was the baby that was supposed to be in there? I was trying to hold it together. My midwife, who delivered Scarlett, came in and I totally lost it. I asked her how there can be an empty sac? She explained that this is called a blighted ovum. What is a blighted ovum? This is where a sperm and egg join and form the sac soon to be the placenta but then fail to mature into a baby. It dies early on due to chromosomal abnormalities, but the sac continues to stay there making HCG hormones which make you still feel pregnant. One of the side effects of a blighted ovum is a decrease in pregnancy symptoms. All the pieces are starting to make sense. You see I have had two babies and felt pretty gross and nauseous with both of them. This time around I have been feeling amazing! I can eat anything, I can exercise daily, and I can still brush my tongue. I kept telling everyone how great I felt and how different it was than the first 2 times. Amazingly enough it seems my body is working well and I naturally miscarried today. It wasn't bad as I thought, nothing a couple IB Profrin couldn't handle. I hope this means I wont need the D&C, wouldn't that be great. I am not feeling as sad as I though I would, crazy how fast I seem to be adapting to now not being pregnant. I am trying to see the positive in this situation. Leora, my midwife said something that stuck in my mind - Your body is working perfectly and it knows when something is wrong. I totally believe this. I feel really good today. Not to sound like a total Santa Cruz Hippie, but I think my body is just amazing. It did what it needed to do on its own and I feel it is doing a great job. I am excited for the next chapter of our journey and I feel even more thankful for my two beautiful and healthy girls. It is strange how a sad experience can make me appreciate how good I already have it. My car died on Friday and had to get towed to the shop for repairs. It happened to die as I was driving in the parking lot of my gym, with Scarlett in back. A nice man pushed it out of the flow of traffic where we waited for Kevin to come save us. He arrived and was not able to get it going so we called AAA for a tow. I proceeded to walk home with Scarlett at a snails pace, more like a slugs pace. 20 minutes into our walk Kevin calls us and says we have to come back because I had the AAA card, duh what was I thinking! Once back at the broken car we pile into Kevin's orange truck. I illegally sit Scarlett on my lap and Kevin took us home. Now what was I going to do with my kids all weekend with out a car? I know lets go downtown on the bus! My girls are definitely privileged as they have never been on a public bus. Ava was excited and a little nervous. Most anything new makes her nervous. She must get that from me. 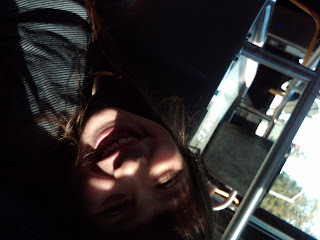 We climbed on bus #66, Scarlett on my lap and Ava glued to my side. 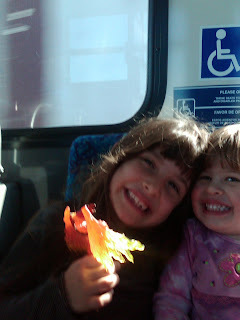 The girls were very quiet and somber on the ride and Ava said, Mommy I feel weird with out a seat belt,what if we crash? I replied Busses dont crash . She is my rule abiding child for sure. Once downtown we hit the book store, toy store, pizza my heart, and then Marini's ice cream shop. We all had a great time and was definitely a fun way to spend the day. 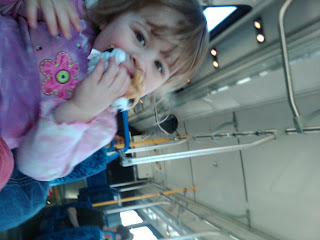 We are so privileged to use the bus as recreation rather than a need. I would say our bus outing was the one plus of my car breaking down. The day of love is quickly approaching and I am totally into it. I find that its easy to get stuck in the day to day monotony of life - school, work, homework, dinner, study, bed. I find myself getting caught up in the business of it all and forget the beautiful things that are right in front of me. 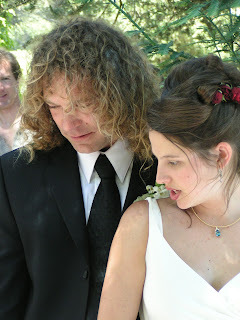 This Valentines day I am reminded of the many things I love about my husband and often take for granted. Its easy to ignore the good stuff and focus on the negative. I am so lucky to have married my soul mate and this valentines day I wish to share some of the things I love about my husband. 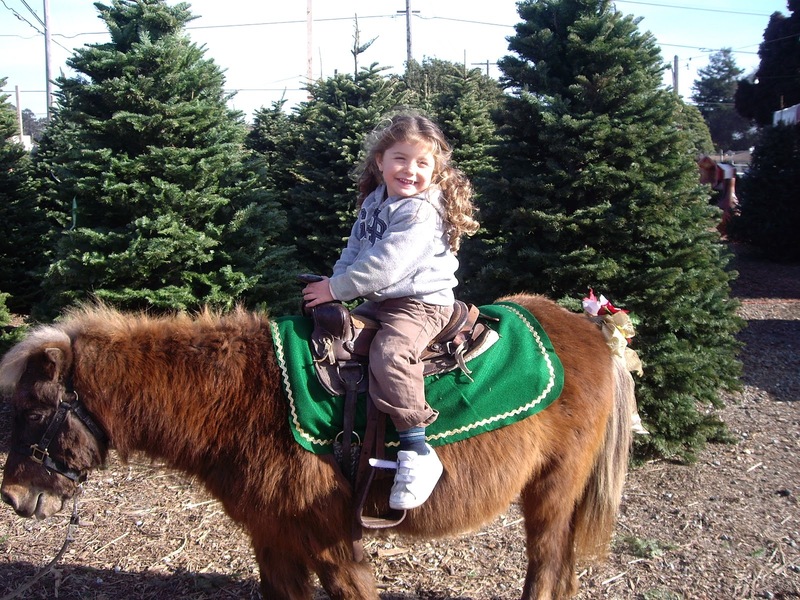 Do all kids have obsessions or just Ava? Ava has always dove feverishly into her passions. So far Scarlett loves lots of things but doesn't obsess about any one thing. I am wondering if all kids go through these crazy die hard phases? 2 years old - Diego, she had the sheets, blankets, and all the toys. 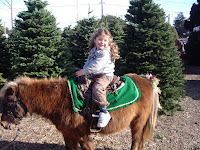 3 years old - Horses, we had a very impressive collection of Breyer horses. 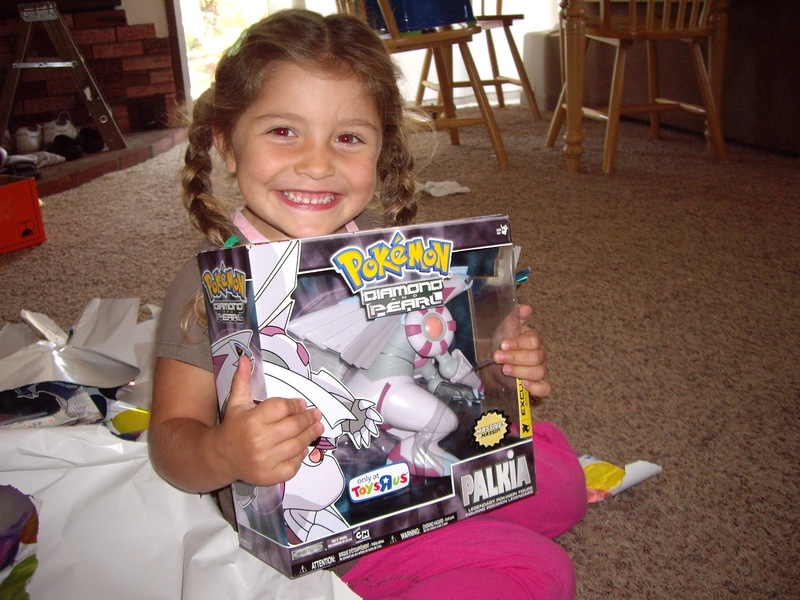 4 years old - Pokemon, she is still into these little creatures and has an impressive collection. 5 years old - Bakugan, there is drawer full of broken old Bakugan, they dont work after a while. 6 years old - Owls and Birds, sparked be reading the Guardians of Ga'hoole books. Excellent series by the way! Before I had both my children - I was the queen of saying I will never. I have broken every one of my rules below. With baby number 3 coming, I am sure I will break even more.